Last week, an article made the rounds amongst my group of friends. A pop culture blogger had created a Tumblr depicting the breakup of a TV couple. It was written from the point of view of the male character, who had announced the breakup by blogging the music video for Bon Iver’s "Skinny Love". When I saw that, I cracked up. Because if I’m going to be completely honest with you guys, there was definitely A LOT of Bon Iver’s "Skinny Love" played during my last breakup. And I’m using the term “breakup” rather generously here because realistically, one would need to actually date before one can officially break up. Because yes, I’m talking about that time in college when I was absolutely enamored with this British exchange student who headed back to England shortly after our first official date. My god, you should have seen the playlist that came out of that whole mess: lots of Bon Iver and an incredibly heart-wrenching song about lingering on and pale blue eyes by the Velvet Underground. Really tragic at the time, but absolutely hilarious now. When I pointed out the "Skinny Love" reference to my friend, she also laughed knowingly: “Uhhhh, yeah. "Skinny Love" was like, my breakup jam.” She then went on to explain that she had created an iTunes breakup playlist with songs representing the different stages of a breakup, filled with lots of Bon Iver, The Thermals, and Stars. It delighted me to hear her admit this — because in addition to that ridiculous playlist I mentioned above, I had a collection of many others, all lovingly curated while I was in college. The best was a playlist titled “Unrequited Love”, filled with gems like Imogen Heap’s "Goodnight and Go" and New Order’s "Bizarre Love Triangle" that I would listen to while I pined after the boys who I had irrational crushes on. I’m sorry to report that sometime after college, I stopped making an iTunes playlist for all the overwhelming emotions I had related to boys. There are several reasons for this, the most significant being that Erlend and I have been dating seriously for around 4 years now. But I also found other ways to express emotion that wasn’t through others’ words and lyrics — mostly through my own photography and writing, some of which is evident in this blog. 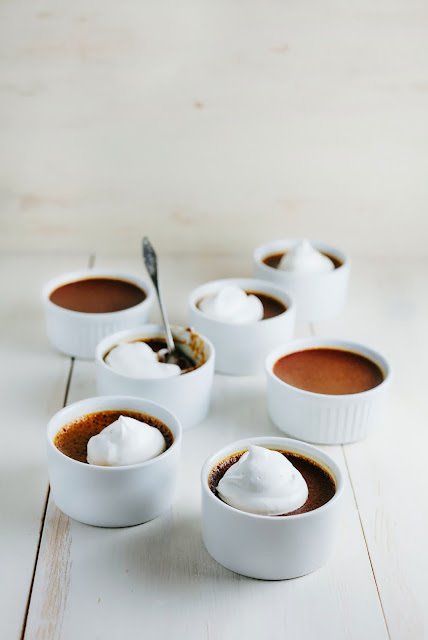 These custards are similar to creme brulee in that they are initially sweet and creamy, but the purposely burnt caramel sugar gives it a slightly bitter edge. Sweet and slightly bitter — just like all those cases of unrequited love! Ha! Just kidding. Well… maybe. You can customize the flavor of these custards by determining how much you want a burnt sugar flavor to the custard. 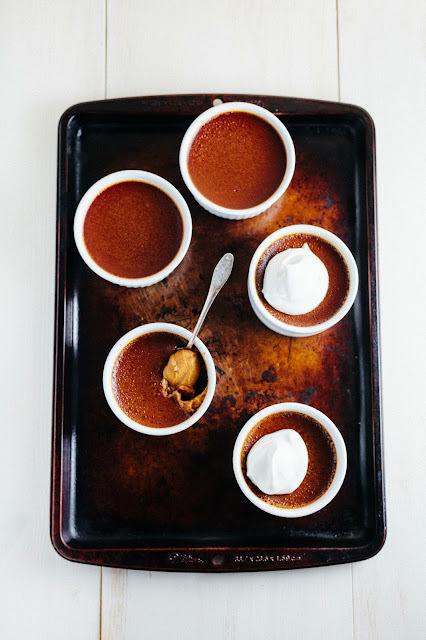 The first time I made these, I overshot completely and continued cooking the caramel until it was completely black, giving the custards an intense burnt flavor. 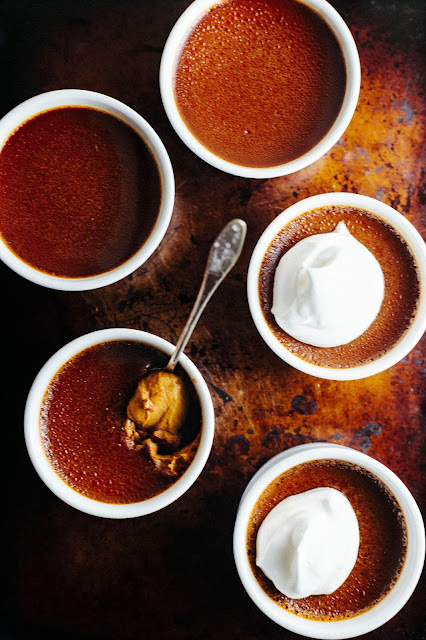 The next time I made these, I cooked the sugar only until it had just turned into a dark amber color — I found that gave me the right amount of burned flavor in the custard. Long story short: the darker the caramel, the more intense the flavor will be. If you are looking for a mild flavor, cook the sugar only until it is a light, golden brown. Not a fan of orange? Feel free to omit the orange zest and sub out the Grand Marnier with one teaspoon of vanilla extract. Boom! Vanilla custards. Preheat the oven to 300 (F). Place 4 cups heavy cream in a medium, heavy-bottomed saucepan; scrape in seeds from the vanilla bean and add pod. Bring to a boil over medium heat. Remove from heat and set aside, discarding the vanilla bean pod. Combine 3/4 cup plus 2 tablespoons granulated sugar and 2 tablespoons water in a large, heavy-bottomed saucepan. 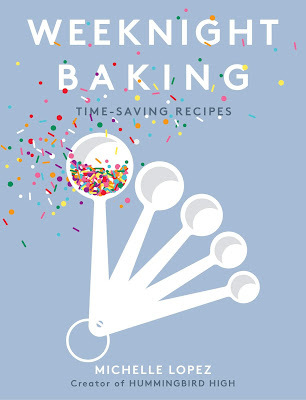 Bring to boil over medium-high heat, using a heatproof rubber spatula to dissolve sugar. Continue boiling until the mixture turns the amber color of your choice (see baker's notes), swirling the pan occasionally and using a heatproof rubber spatula to brush down the sides of the pan. Once the mixture is the color of your choice, remove from heat. Slowly stream in the warm cream (from the 1st step) to the caramel, stirring constantly until smooth. At first the mixture will bubble vigorously, but it will calm down and lighten. In a large, heatproof bowl, whisk together 6 large egg yolks, remaining 2 tablespoons granulated sugar, zest from one medium orange and 1/8 teaspoon kosher salt until well combined. Slowly stream in caramel, whisking constantly until the mixture is a uniform color. Divide custard among 8 ramekins and place in a large baking dish or roasting pan. Fill the pan with boiling water until water reaches at least halfway up the sides of the ramekins. Bake until the custard is just set but jiggly in the center, around 60 - 70 minutes. BE CAREFUL NOT TO OVERBAKE — the custards will continue to set outside the oven. Remove ramekins from baking dish and transfer to a wire rack to cool completely. Once the custards are cool, chill each ramekin, uncovered, for at least 3 hours before serving. 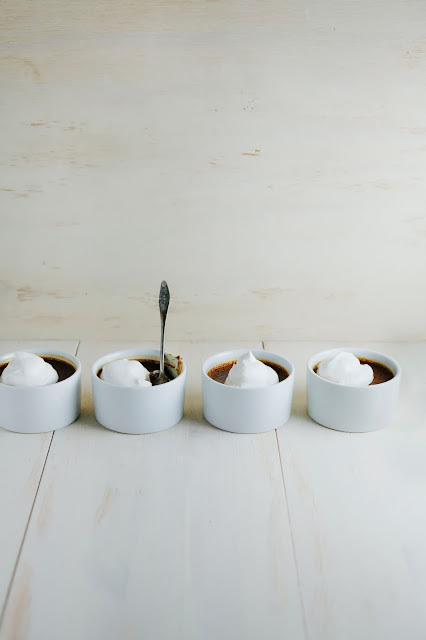 When the custards are ready to be served, make the whipped cream topping. Combine 1 1/2 cups heavy cream, 2 tablespoons granulated sugar and 1 tablespoon Grand Marnier orange liqueur in the bowl of a freestanding electric mixer fitted with a whisk attachment. Whisk on medium-high speed until soft peaks form. Spoon about 2 tablespoons of cream on top of each custard before serving. haha i remember breakup songs..I didnt have playlists but i knew which songs I had to listen, like absolutely.. I prefer creme brulee a little bit on the milder side - looks so good. Ah yes, that was a quality playlist! Good times. I much prefer the idea of expressing heartbreak through the medium of a little custard pot. 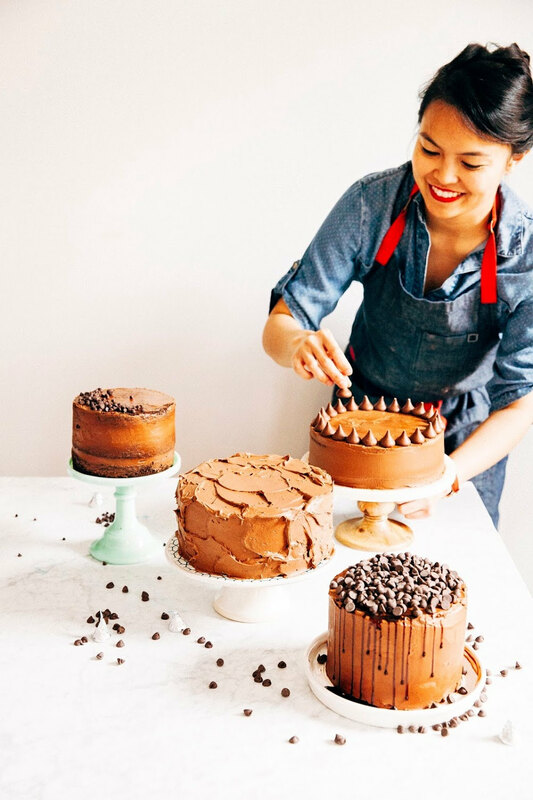 I've made a burnt orange buttercream before which was amazing so I can imagine these are utterly delicious. Awesome. What did you use for that rusty background?